Abbe Road performing “Cells Planets"
Abbe Road performing “American Boy/Lost in Japan"
Santa Susana's Advanced Women's Choir, was honored to be asked to sing at the funeral of Sheriff Sgt. Ron Helus who gave his life in the line of duty during the Borderline mass shooting that occurred on Wednesday November 7th. His act of bravery has touched the hearts of our communities and he will be always be remembered as a hero. Zak Cullen uses his skills as a writer and an actor to create his senior project The Fifth Wall, a deeply moving play about first love during trying times. 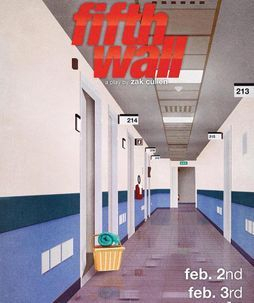 His is the first ever entirely student written, directed, produced and performed production to be shown on the Santa Susana PAC stage, no doubt The Fifth Wall will be a defining moment for SSHS writers who wish to follow Zak's template. In lieu of admission Zak asked that donations be made to the Bully Project and Children's Hospital L.A., over $1200.00 was raised for those organizations. 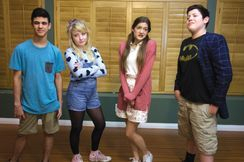 ‘WHO DUNNIT?’— Above, from left, Colby Kropfl, Taylor Welch, Bella Roscigno and Bryce Phillips rehearse a scene from “The Perilous Case of the Homework Bandit,” an original play written and directed by Simi Valley 16-year-old Zak Cullen. At right, Zak gives the cast instructions while co-director Bailey Garcia checks the script. Rehearsal for First Lady Nancy Reagan's Funeral. Vocal Music Director Bevin Abbe leads Abbe Road a Cappella in a rehearsal before the funeral. 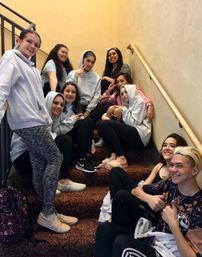 Santa Susana High School’s Abbe Road A Cappella group left Napa Valley on a high note Feb. 2 after finishing second in the quarterfinals of the International Championship of High School A Cappella. 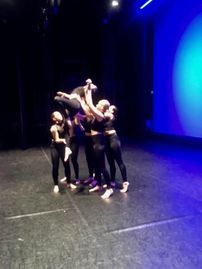 Three members also earned special recognition: Lyda Jade Harlan was named outstanding soloist for “Cells Planets” and Nicole Corvi and Natalia Enriquez were named outstanding choreographers. The ensemble, led by Santa Susana music director Bevin Abbe, now moves on to the semifinal round, which will be held in March in Salem, Ore.
Should the group place first, it will advance to the championship round in New York. Since the announcement last year that it would take part in the competition, Abbe Road has been fine-tuning arrangements and choreography as well as raising funds to travel to the competition. The quarter finals were held at Lincoln Theater in Yountville, Calif.
To pay for plane tickets and hotel rooms, members started a GoFundMe page that has, as of Thursday, raised $5,400 of their $18,000 goal. The group has extended the campaign, and plans on hosting fundraising events like a garage sale and an a cappella showcase. Abbe Road A Cappella is Santa Susana High’s advanced a cappella ensemble. It specializes in modern a cappella. 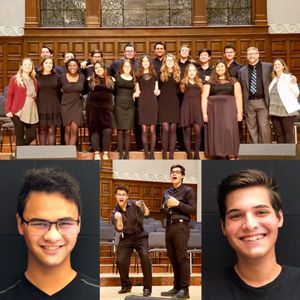 The group has performed at the Los Angeles A Cappella Festival, Disneyland’s candlelight processional, Nancy Reagan’s memorial service and at festivals all across the Southern California area. 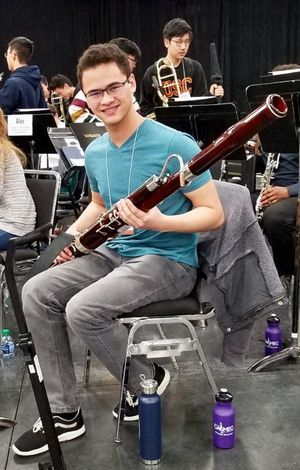 Our very own SSHIM bassoonist making it to all three honor bands last year and this year. Salem, here we come! 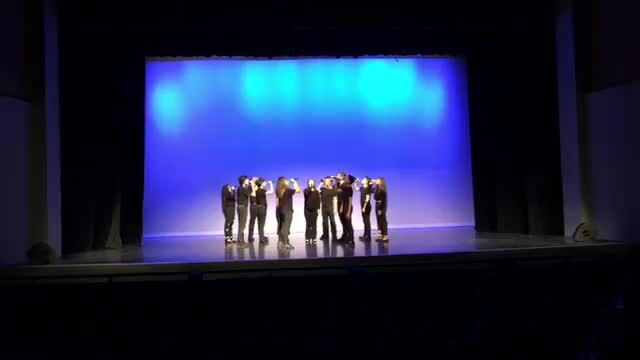 Abbe Road has been crowned the runner-ups of the ICHSA Quarterfinals, as well as special recognition for outstanding soloist Lyda Jade Harlan, and outstanding choreography by Nicole Corvi and Natalia Enriquez. 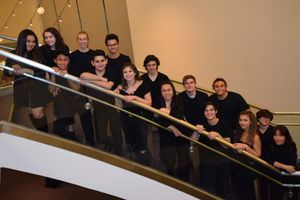 The fifteen-singer ensemble, lead by music directed by Bevin Abbe will be advancing to Semi's on March 29! We've extended our goal to reflect the expenses for this much bigger trip, and hope to see your continued support for our a cappella endeavors next month. Your help means the world! 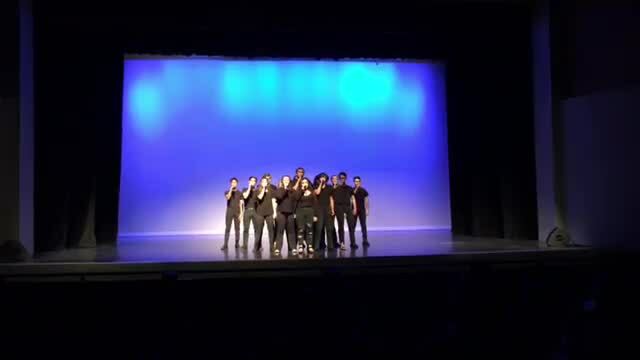 If you wish to help Abbe Road achieve their goal of getting to the next ICHSA competition, check out the Abbe Road GoFundMe to donate. 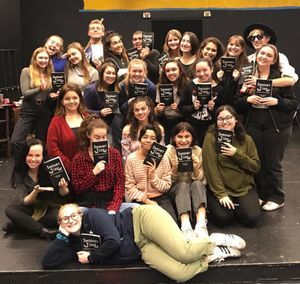 Meet the cast of Play Pros production of Sweeney Todd. Congratulations to all! We can't wait to enjoy the fruits of your labor! 2nd Annual Dancing with the SSHS Stars! Kudos to Riley & Nicole on a successful and super fun senior project! 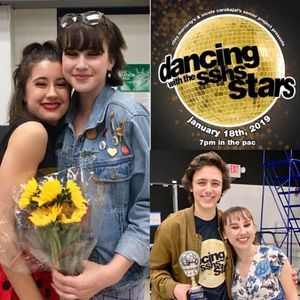 Thanks to all the contestants for putting yourselves out there and showin’ your stuff and Congratulations to the 1st place Mirror Ball winners Chris & Emmy! Congratulations to our winners Darby J. (Royal HS) 1st place, Miguela Soriano (SSHS) 2nd place, & Lyda Harlan (SSHS) 3rd place! Of course all of the vocalists were so talented so kudos to everyone for such wonderful performances! Matthew Pauls (of Instrumental Music & Abbe Road) will be performing for the second season with #LAYO Los Angeles Youth Orchestra at UCLA Schoenberg Hall and tomorrow at Ambassador Auditorium. "We can not Stay Silent!" 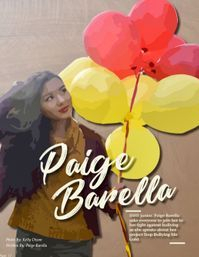 Check out the Dance Department's very own National Honor Society for Dance co-President, Paige Barella! Her anti bullying project "Stop Bullying ME" is featured in Vivid Arts November issue. Santa Susana HS magazine and Art Show! Read all about this amazing Troubadour at www.vividartsmagazine.com/ in the November Issue. Way to go Paige!! Congratulations to all of our SSHS Students who won at the district level and were recognized at the Reflections PTA/PTSA Council Awards Night. Out of 15 entries from SSHS, the following 7 will be moving forward to compete at state level. 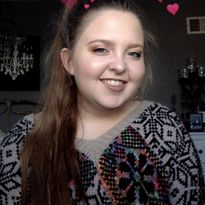 Congratulations to Abbe Road Songstress Taylor Moreno for being accepted into A Cappella Academy for the second year in a row! Taylor, a Santa Su senior had the honor of attending A Capella Academy last summer as a Junior along with then Seniors Georgia Caines and Eric Bui. 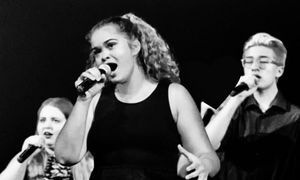 The three, along with their fellow Aca Academy classmates went on to perform at The Hollywood Bowl's Fourth of July Celebration with Pentatonix!! "Congrats to our wonderful dancers who turned in two great, clean performances at YAGP in LA today." (First time back at competition in close to ten years and couldn't be prouder of these kids says SSHS Dance Instructor Linda Lewis) Great job Dance Ensemble/ROP Choreography (H) Dancers!!! We are so proud of you all! 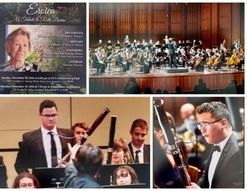 "THE GIFT OF MUSIC—Santa Susana High Instrumental Music students Brandon Douglas, 18, a senior, and Matthew Pauls, 16, a junior, have been selected for the Southern California School Band and Orchestra Association’s High School Symphonic Band. They’ll perform on Sun., Jan. 28 at Chapman College"
These two uber talented musicians recently made The Acorn! 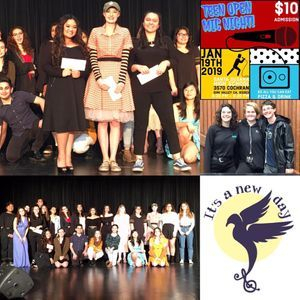 January 26th was the 6th annual Teen Open Mic Night held at Royal High School and sponsored by It's A New Day. 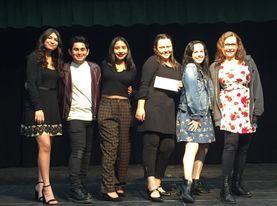 "A special shout out to Santa Susana High students Lyda Harlen, Patrick Mayoral, Shayna Apelbaum, Dani Craven and Rebecca Radvinski who competed and were AMAZING!!!! Congrats Lyda on taking 2nd place!!" Congratulations to seniors Georgia Caines & Eric Bui and junior Taylor Moreno!!! 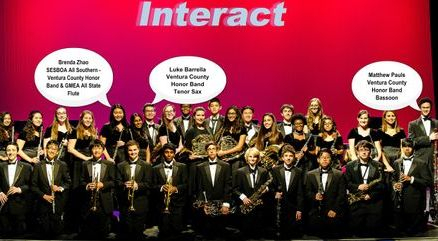 Congratulations to Instrumental Music's Matthew Pauls (Bassoon), Luke Barrella (Tenor Sax) & Brenda Zhao (Flute) for making it in the Ventura County Honor Band. A special shout out to Brenda Zhao attaining SCSBOA All Southern & All State Honor Band! 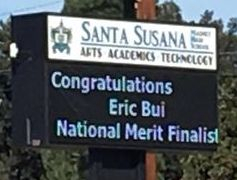 Congrats to Abbe Road's Eric Bui for being a National Merit Finalist! Only 15,000 out of 1.6 million earn this honor!!! Awesome job Eric! 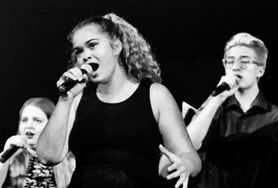 Congratulations to Abbe Road's Taylor Moreno, Georgia Caines and Eric Bui on their acceptance into A Capella Academy this summer! Out of 600 auditioning only 78 people were accepted!! SSHS Jam Club is a group of SSHS students, (mainly performing arts students) with a passion for music! 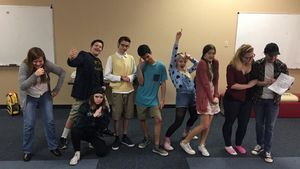 This is not a class but a student formed club, they practice on their own time as well as perform in and around the community at various events and fundraisers. Although the members change from year to year as people graduate, Jam Club is still going strong, making beautiful music together and making Santa Su proud! This video is Jam Club's cover of Heart Out by The 1975, they recorded it in studio and sell copies of their single to raise funds to keep Jam Club going. Everyone should definitely go see Jam Club live, this talented bunch of kids will not disappoint! 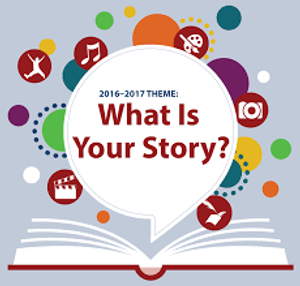 Santa Susana Performing Arts Boosters would like to congratulate all of our SSHS PTSA Reflections winners! We would like to give special acknowledgement to our Performing Art student contestants. All winners entries will move on to the District level competition, good luck to all! We are so proud of your dedication and hard work. Way to go Troubadours!!! 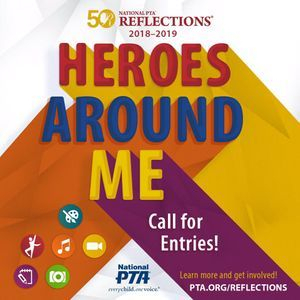 Congratulations to our district level PTSA Reflections winners! !